It’s about growing the scene. As one of Brisbane’s leading production agencies, Surge Media combines our expert knowledge of video production, 3D animation and motion graphics to produce outstanding video concepts for our clients. Our innovative video production agency endeavours to create the most engaging way to tell a specific story, delivering a memorable experience for its audience. Surge Media support your brand and strategy by communicating a clear vision with cost-effective and uniquely creative solutions in a meaningful way. If you’re looking to create a corporate video, content for your social media channels, educate customers or showcase a product or service, we’ll help you tell your story. We build strong, lasting relationships with our clients by expertly guiding them through the entire video development process, every step of the way. Our photography team complement our services by providing original images that can then be repurposed throughout different areas of your business, including social media, website, print and signage. We can create a video package that suits your individual business needs, all within our agency. This is a significant benefit to your business when it comes to ensuring brand consistency across all platforms of digital and print media. Surge Media is built on passion for creativity and expertise. Established in 2010, our team of accomplished video producers and designers develop powerful videos that will showcase your business’s best assets. We work in conjunction with exceptional clients and ensure a professional, stress-free service so that the delivery of your finished product is the result of continuity and unified teamwork. Video marketing is one of the most important parts of your businesses strategy, as it builds trust and immediately engages your audience. Professional production video is the way to differentiate yourself from your competitors. Our crew at Surge Media deliver tailored video production to tell your brand’s unique story. We focus on developing high-quality, individualised media content, that engages while effectively communicating your message. We combine our expert in-house knowledge of design and video production to produce a streamline finished product that is timeless. Your unique human-to-human story is your best asset and video is arguably, the most valuable way of advertising this connection. Whether you’re communicating a new product launch, service, concept, event or sale, you can be assured that video is currently the most universal way to connect with your audience. We specialise in Commercial & E-Learning Video Production, Corporate Events, Script Development and Motion Graphics, to name a few. Surge Media understand the increasing demand for high-quality videos. Video is a powerful tool that speaks a thousand different languages. Our aim is to help your business transcend paradigms, leverage yourself above your competitors, lead the way and turn your vision into a reality. We thrive on challenges and seek to generate solutions that are highly efficient, cost-effective and competitive. We’re always coming up with fresh ideas and new ways of producing exciting digital media that will be an integral part of your brand. Video is the most engaging way to tell a story. Whether it’s a new product launch, service or concept, event or sale, video is the most universal way to connect with your audience. Located in Brisbane, we’re a team of dedicated in-house experts that specialise in video production for animated video, corporate video and motion graphics. Surge Media work with many of Australia’s leading clients, regularly delivering a variety of excellent, persuasive, engaging and creative corporate video productions. We have a team of exceptional videographers available in-house ready to work with you. Surge have the expertise to produce an extensive range of content. Our corporate videos can document case studies, produce testimonials, run training and e-learning videos, introduce staff profiles, create induction videos, right through to event, workshop and conference videos. We enjoy working within the Corporate industry as it gives us the opportunity to get creative when developing informational content. Our clients work alongside us so that we can create their vision into a reality. Surge Media produce animated videos that inspire, educate and engage their audience. We can use animation to explain or inform, in a creative and often, fun way. Animation video is an effective way of reaching a wider audience of a variety of different ages and demographics. Extensive research shows that people prefer to watch a video rather than read a block of text. Animation is a great way to deliver a message, whilst entertaining and informing. Surge Media’s services include both print and digital design. We specialise in; logo design, brand development, corporate identity design, web design, eDM and eCRM design, UX design, press and digital advertising and outdoor advertising. Surge are able to ensure brand consistency when working across both print and digital platforms. The value of having it all in-house is that we can oversee the final product and work together with the client to ensure we’ve hit the mark. We can create a package that suits your individual business needs, wrapping up many exciting creative concepts within the one agency. This is a huge benefit to your business when it comes to ensuring brand consistency across all platforms of digital and print media. We use photography to capture those moments that tells a bigger story. Surge Media can work with a range of diverse styles, from portrait, product or event photography. We provide a full service post-production, to ensure every image exceeds your expectations. We have a team of photographer’s ready to capture your perfect image, which can then be used throughout your business. They may be used for socials, website development, bios, case studies, articles and blogs or print media. We can also create a portfolio of photographs that you can use on an ongoing basis. Should you have any queries in this service, please contact us. Surge Media has an experienced team of in-house members and freelancers who are consistently working to deliver expert services across a wide range of technologies. Our video production team include creative directors, directors, producers, camera operators, sound engineers, scriptwriters, editors, motion graphics artists, 3D animators and last but not least, excellent administration staff. Collaboration is the foundation of our company. For our Creative Director Ben Trowse, the human is at the heart of it all. From short documentaries to music videos to national and international commercials, Ben’s hunger to convey the raw human story through the lens is the thread that ties all of his work together. Ben’s passion for human-to-human engagement also translates into how he manages the Surge Media team. Ben strives to cultivate a positive environment for our staff that promotes hard work and a focused mindset yet also encourages creativity and the freedom to push one’s artistic boundaries. With extensive experience in directing, shooting, producing, art-directing and editing videos, Ben offers a unique expertise across all stages of the video production process. Drawing on these capabilities, Ben has delivered video solutions for some of Queensland’s most recognisable brands and built a reputation as a video production authority, highly sought-after in the Brisbane creative scene. 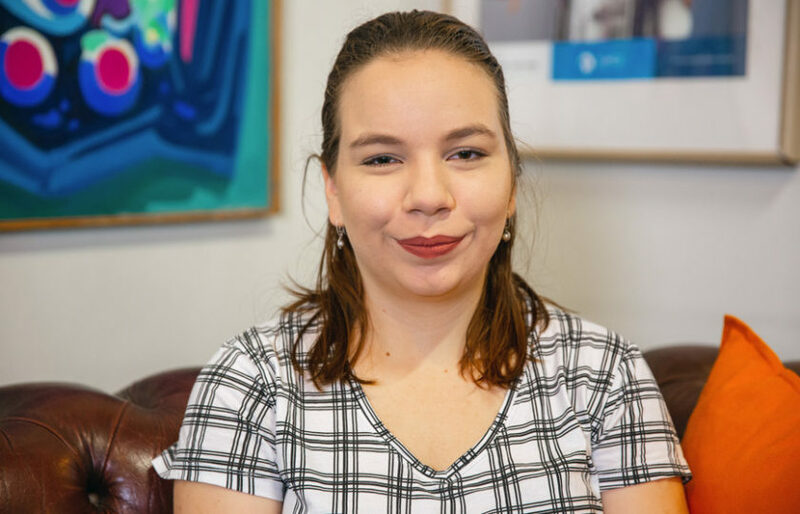 Since moving down to Brisbane from Townsville to study Film and Media Production at the prestigious Griffith University Film School, Caitlyn has been making her mark in the industry very quickly. Caitlyn’s extensive credits encompassing all areas on a raft of films, live television, and video projects have given her a comprehensive understanding of all areas of the production process and an eye for detail that ensures your finished product is of the highest order. A technical whizz kid, she loves nothing more than getting her teeth into the latest innovations in post-production or motion graphics to ensure your video stands out from the crowd. After 25 years in Aviation Management with QANTAS, Chris decided to follow his passion for film making and complete his degree in Film and Media Production. 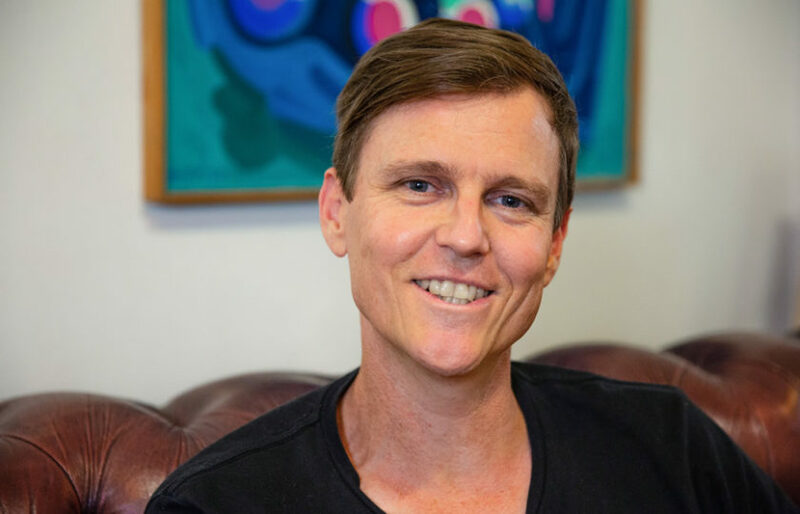 After working in live television for NITV and as a 1st Assistant Director and Producer on a number of projects, Chris joined the Surge Media team as a creative producer and scriptwriter. Chris is the organisational force that aligns our production processes and keeps us focused and on schedule. Every company needs a rock and Chris is ours. With over 20 years of experience behind the lens, Matt has the well-honed eye of a true film maker. He has actively been involved in the capturing and creation of content for television commercials, music videos, promotional material, short films and TV pilots. Matt’s expert technical capabilities, sharp eye, and keen sense of storytelling ensures your video will exceed your expectations. As one of the youngest members of the team, Liam discovered his passion for film making at a very early age. He has quickly developed his skills both on set and in the edit suite, keeping up to date on new technology and modern trends. Liam understanding all the analytics of social media and is an asset filled with information. Whether behind the camera or at the editing desk, Liam knows how to bring that unique energy to his projects. Since completing her Master of Arts in Musicology in Beijing, Chen has found her niche in the world of editing. Her experience in video editing, music arrangement, sound recording, and video production is an asset that we at Surge Media are excited to offer. Chen’s ability to quickly find the rhythm that is so important to a great edit is what helps give our projects a distinct voice and provides a unique point of difference.